The Toys R Us store, which closed in July, sits vacant on Kimberly Road in Davenport. The University of Iowa Community Credit Union before its opening at 3402 Elmore Ave., Davenport. University of Iowa Community Credit Union will build a new branch on the corner of Kimberly Road and Brady Street in Davenport — on the lot currently occupied by the former Toys R Us building. Chief Marking Officer Jim Kelly said the credit union will begin construction this fall on the 6,000-square-foot, free-standing branch location, on the corner of the lot at 200 E. Kimberly Road. He said plans have not been finalized for what will be done with the former Toys R Us building. "Our plan is to eventually share the land with other retailers, but this early on in the process we have nothing that we can share," Kelly said. He expects the new "full-service" credit union to open in spring 2020. 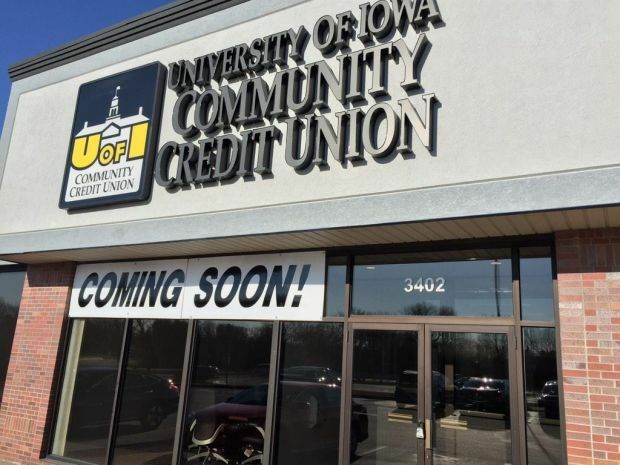 With the opening of the new branch, Kelly said University of Iowa Community Credit Union will close its location at 3402 Elmore Ave., Davenport. "UICCU has experienced strong growth in Davenport and so we will eventually move out of our smaller leased space on Elmore and into the new larger building in 2020," he said. "This will give our members easier access to the building, additional parking, and ATM and drive-through access." The lot in Davenport has remained vacant since July when Toys R Us shuttered locations as part of its bankruptcy liquidation process. Moline Planning and Development Director Ray Forsythe recently said Big Lots will open in the former Toys R Us store on 16th Street near SouthPark Mall.